Since I have tasted foie gras I have been in a quest to replicate that nutty, buttery rich flavour in something that will be close, you can call it faux gras, made with alternative ( and available to me) ingredients. Experimented with duck fat, normal duck livers, walnut oil, sesame seed oil, brown butter and different recipes on the web to create it. I have not come close to the holy grail yet, but still some darn tasty things on the way, one I would share it is hazelnut paté, one of the most popular. If you cannot come across hazelnut butter you can make your own by toasting, remove the husk, grind them and pound them in a mortar till you get butter texture. (Annoying procedure unless you have a melanger, but it is not much what it is required and can be made by hand ). Blitz all the ingredients in a blender, and pass them via a strainer. Place into weck mould jars and cook 90@68 sous vide. Alternative you can cook this in the oven in a ramekins or bread pan (lined with cling wrap and oil) in a water bath at 110 degrees till the internal temperature of the paté reaches at least 61 degrees. 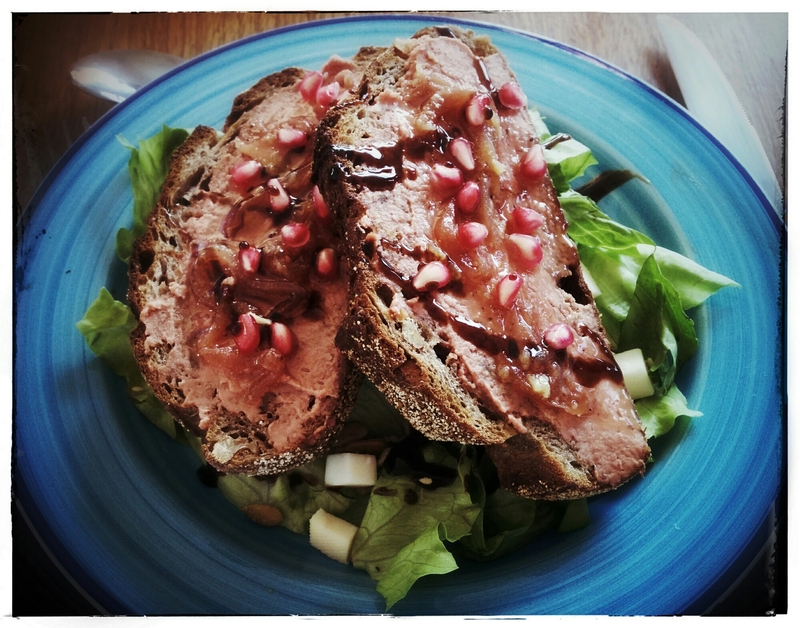 In the photo it is served over a salad, in a fig and walnut bread, onion marmalade and pomegranate.